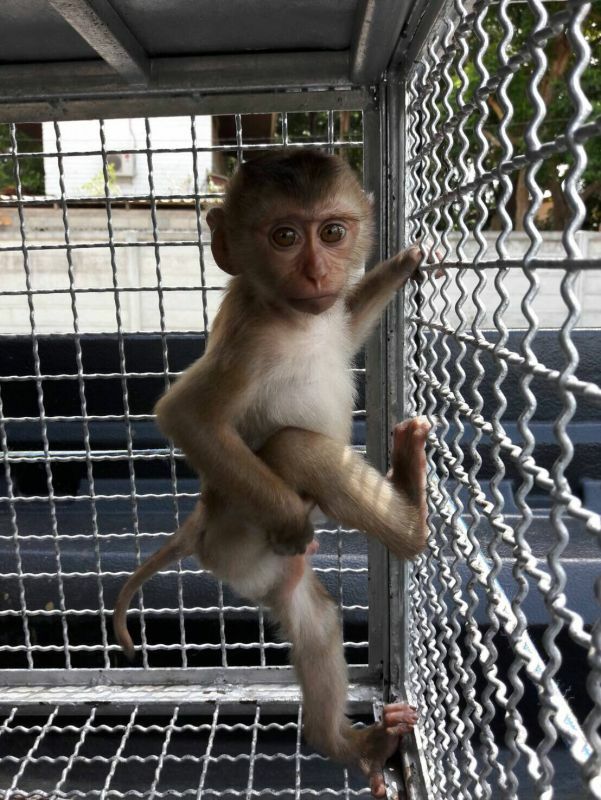 PHUKET: An distressed, orphaned baby pig-tailed macaque whose mother was killed by a street dog at Khao To Sae in Phuket Town has been removed from the area and taken into protection at the Khao Phra Thaeo Non-Hunting Area. 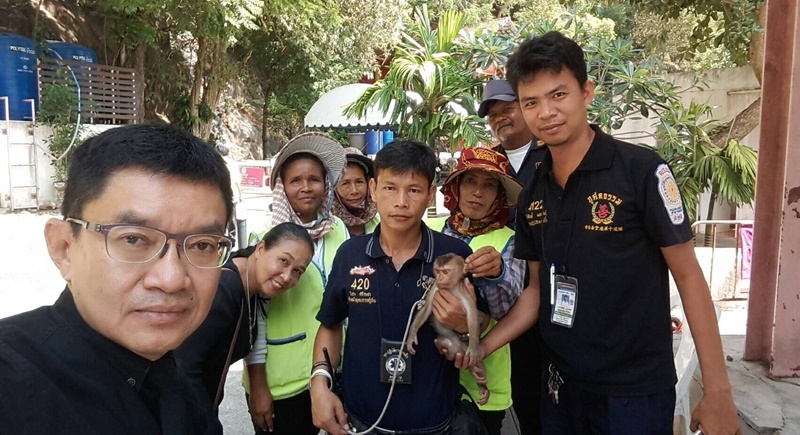 Yesterday (Mar 1), Director of the Khao Phra Thaeo Non-Hunting Area Office Mr Pongchart Chouehorm received a baby pig-tailed macaque from Kusoldharm rescue workers after it was discovered that its mother was had been killed by a street dog. Mr Pongchart said, “There are now around 1,500 wild monkeys at Khao To Sae and a large number of local residents go to feed them and give them water as the area lacks the macaque's natural sources of food. “However, the area also has a lot of street dogs which often attack the macaques over territory and food,” he said. “This baby macaque was found alone and in distress by road sweepers, and it was later found that its mother had been attacked and killed by a street dog so the cleaners called the rescue team who brought the macaque here so it could be protected. “Once the well enough it will be taken to the Wildlife Raising Centre in Phang Nga,” Mr Pongchart added.